When you enter sweepstakes, you're keeping your fingers crossed that you're going to win something amazing. But every now and then, you win a prize that you simply can't use. Maybe it's a trip for specific dates when you already have something planned, a new gas range when your house can only support electric appliances, or the prize has an ARV that's so high that you don't want to ​pay the taxes on it. In these cases, turning down the sweepstakes prize, while unfortunate, may be your best option. No one likes to decline a prize. 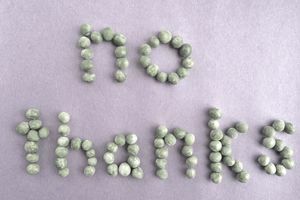 It's disappointing to say no to something you won, and it wastes time and energy for both you and the sponsor. Here are some tips about when and how to turn down a prize, as well as how to avoid having to decline prizes in the first place. It's best for everyone involved -- yourself, the sweepstakes' sponsors, and the other entrants -- if you don't have to turn down sweepstakes prizes. So to reduce the chances of having to decline a prize, be picky entering sweepstakes. Think about whether you'll be able to use the prizes offered before you enter. You win a trip that must be taken on a specific date, and you can't travel on that date: It's heartbreaking, but sometimes you win an amazing vacation and can't take it because you can't get time off work, you have another trip scheduled, or there is an illness in the family. Do your best to avoid this one by reading the rules to see if there are any conflicts on the travel dates. You win a prize with a high ARV, and you don't want to pay the taxes on it: Before you decide to turn down a prize for this reason, make sure that the ARV is really accurate. See how to dispute an ARV on your taxes for more information. You should also consider whether the tax burden is worth it before entering sweepstakes. There is too much effort required to claim a prize: Sometimes a sponsor will ask you to jump through too many hoops to claim a prize, like requiring a notarized affidavit for a $1 prize. This one is hard to avoid because the requirements aren't necessarily outlined in the rules. But I do recommend trying to claim your prizes. A notary sounds intimidating, but there are several places you can go to find notaries for affidavits. The prize you won must be used on very short notice: Sometimes you get a notice that you've won a trip, concert tickets, or something similar that must be used on very short notice. If you can't rearrange your plans, you might need to turn down the prize. Sometimes, the rules will warn you that you won't have much time to decide if you win, but other times, the sponsor surprises you with a last-minute win. In the latter case, it's hard to avoid turning down the prize. You were entering for a different prize than the one you won: When sweepstakes give away several prizes, sometimes you really want to win one prize, but end up being drawn to receive another. The prize you actually won may not be the one you were hoping for when you entered. Most of these reasons can be avoided by carefully reading the rules before you enter sweepstakes. Consider whether you'll be able to travel when a trip will take place, if you can afford the taxes, or if you can really use the prize. By paying attention to what you'll receive if you win, you can focus your time on trying to win prizes that will delight you. Many people enter sweepstakes to win prizes they don't really want because they assume there will be a cash option. However, it's rare that a sponsor will offer a cash option unless it's specified in the rules. In fact, some companies feel that asking for a cash option is presumptuous or insulting. So don't assume that a cash option will be offered, if you can't take the prize. If you need to turn down a prize win, let the sponsor know that you won't be able to accept the prize. Don't just ignore their messages or not return the affidavit -- that wastes a lot of time and energy for the sponsor. Let them know you're thrilled to have won and that you appreciate the prize, but unfortunately just can't accept it. If a prize shows up on your doorstep without notice, you may be able to return the package to the sponsor to decline the prize. But these are usually smaller prizes, and turning them down may not be worth it. If possible, ask the sponsor if you can think it over for a few days. In the case of a large prize with a big tax burden, take the time to consult with an accountant before making your decision. For smaller prizes that you can't use yourself, think about whether you could use the prize as a present. But if you truly can't use it, turn down the prize so that another winner has a chance to enjoy it. Sell the prize on eBay. Hopefully, you'll earn at least enough to cover the taxes, and maybe a little more. Check out sweepstakes forums for prize exchanges. You might be able to swap it for a prize that suits you better. Donate the prize to a school or charity. You'll be giving it a good home and you may be able to deduct the donation on your taxes. Use online classifieds to find the prize a good home. Websites like Freecycle or Craigslist can help you find people in your area who are willing to either buy your prizes or at least take them off your hands.